We are fortunate to have a number of wonderful home cooks and bakers in our team, like Sarah from Kitchen Warehouse Midland who baked these delicious hot cross buns to the delight of customers and staff. All our stores are serving the same recipe, which Sarah guarantees is “pretty simple”, so you can certainly make it at home. Or maybe, learn the art of baking the perfect hot cross bun with the help of some of our favourite bakers. The amazing Emelia Jackson of Emelia Jackson Cake Designs and a former MasterChef Australia semi-finalist and the talented Paula Fitzgerald of Charles and Violet are holding hot cross buns workshops across our stores from 22-25 March 2018. 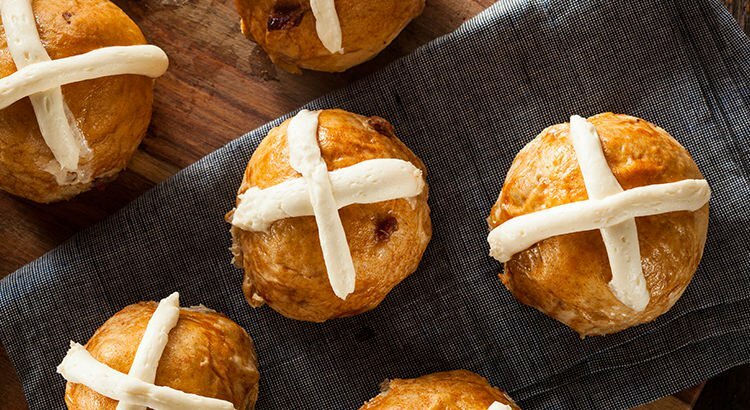 Sign up here and serve your own delicious hot cross buns for Easter. Add the flour, yeast, caster sugar, mixed spice, salt, and filling if desired. Melt the butter in a saucepan over a low heat. Add the milk once the butter has melted. Heat until warm then add to the dry mixture. Lightly beat the two eggs and add them to the mixture. Select the brioche setting. Make sure the dough is completely combined. Add the flour, yeast, caster sugar, mixed spice, salt, and filling if desired to the bowl. Attach the dough hook then mix on a low speed to combine. Melt the butter in a saucepan over a low heat. Add the milk once the butter has melted. Heat until warm. Lightly beat the two eggs and add them to the milk mixture. Whisk to combine. 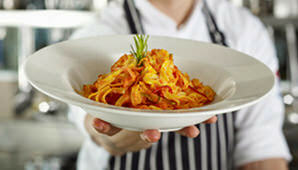 While still using a low speed, add the milk mixture to the dry ingredients in the bowl and mix to a soft dough. Then knead on low until the dough sticks to the dough hook and has become smooth and elastic. Place the dough in a bowl covered in plastic wrap or a damp tea towel. Leave to prove in a warm place for 1.5 hours. It should almost double in size. Preheat the oven to 175C fan forced. Once the dough has risen, divide it into as many as 48 small portions to make mini hot cross buns. Place the balls on a baking tray. To make the cross, mix water and flour into a paste. Pipe two lines on each bun to form a cross. Cook the buns in the oven for 30 minutes or until golden brown. Combine the water and sugar for the glaze in a small saucepan over medium heat. Stir until the sugar is dissolved. Allow to simmer for a minute then take off the heat. Transfer the cooked buns on a cooling rack and brush the tops with glaze. Serve warm with butter on a serving board.